5. The teams giddy'd up and chose a detour. In order to complete one of the horse-related detours at Plaza Principal, the racers refrained from dilly-dallying and got their heads in the game. 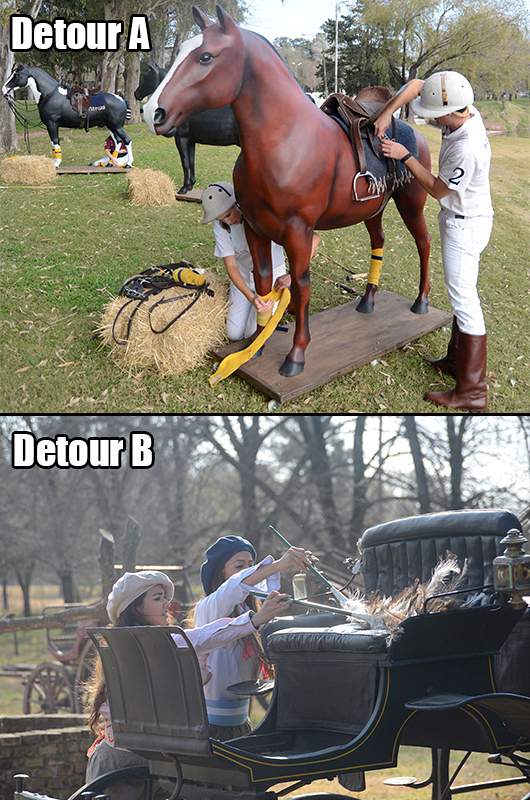 For Detour A, “Horse,” the teams were asked to select a polo mallet, uniform, and properly equip a filly. In comparison, for Detour B, “Carriage," racers were asked to select a buggy whip, detail a carriage, drag it down the street, harness it to a horse, and travel back to the local festival.